Two varieties are available – Original and Jalapeno – both of which are super easy to use. Just add a pound or so of ground beef or ground chuck, some chopped onions if you like, and a jar of Jumbo’s. If they’re not the best Sloppy Joe’s you’ve ever had, they’ll be really close! Visit their website and click on the “Where To Buy” tab – that’ll take you to a list of stores in The Peace Garden State where you can buy Jumbo’s Sloppy Joe Sauce retail. On that page, you’ll also see an “Order Online” button which will take you directly to their online store. 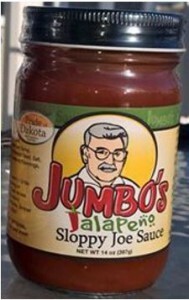 Enjoy the satisfying down home taste of North Dakota with Jumbo’s! The National Buffalo Museum also houses a gift shop offering all sorts of North Dakota made items, including art, pottery, clothing, jewelry, and much more. You can shop for gifts online at the Museum’s website … we particularly like the Buffalo Socks shown! While you’re at their website, listen to the heartfelt harmonies on the song “I Love You Because” – they’re beautiful! It’s no secret as to why this song cracked the Top Five of the Roots True Country Song Chart! DuWayne has written literally hundreds of songs and his music has been played on radio stations worldwide. We’re pleased to introduce you to these talented musicians and anxiously await their future musical releases. 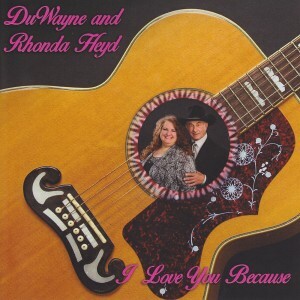 Learn more about DuWayne & Rhonda and bring their music into your life by clicking through to their site. And be sure to listen to a sample of “I Love You Because” – you’ll be sure to thank us! With help from her husband and son, Brenda uses local North Dakota grown ingredients to create a variety of jams, relishes, and salsas that really capture the spirit of The Peace Garden State. Products include tasty specialties like Apple Pie Jam, Jalapeno & Raspberry Jam, and one you’ve just got to try called “Summer in a Jar”. It’s made from a blend of cantaloupe and raspberries – unlike any jam you’ve ever tried! 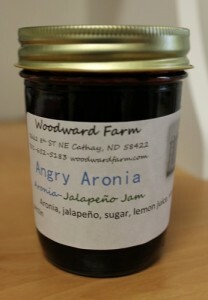 One of Brenda’s most unique offerings is made with jalapenos and aronia berries. Aronia berries are small, dark, tart fruit which grow well in the state and are part of the chokeberry family. Often used for jam, the berry is mixed in with jalapenos to create “Angry Aronia” – great on crackers for appetizers! If you live locally, Brenda also does custom baking and catering for local groups. She’s a presence at local events throughout the year where you can buy her products, and be sure to check out this page at the Woodward Farm website where you can conveniently order online. Proudly made in North Dakota! Their BBQ Sauce comes in four different varieties – Original, Tex Mex, Fruity, and Mustard. The Original is their signature product, a tangy creation with excellent spice balance that’s ideal as a grilling or dipping sauce. 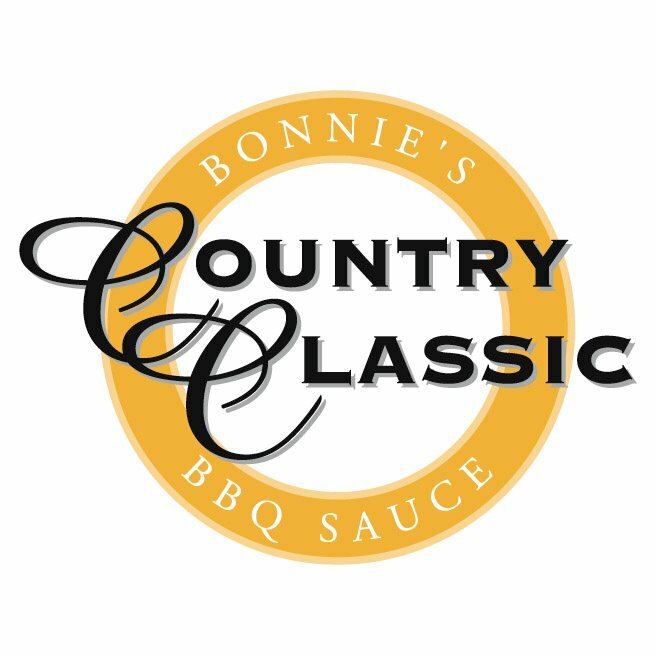 Check out the “Gift Ideas” page on the Bonnie’s Country Classic website for ordering combinations of sauces in their Country Gift or Classic Sampler Gift Boxes. 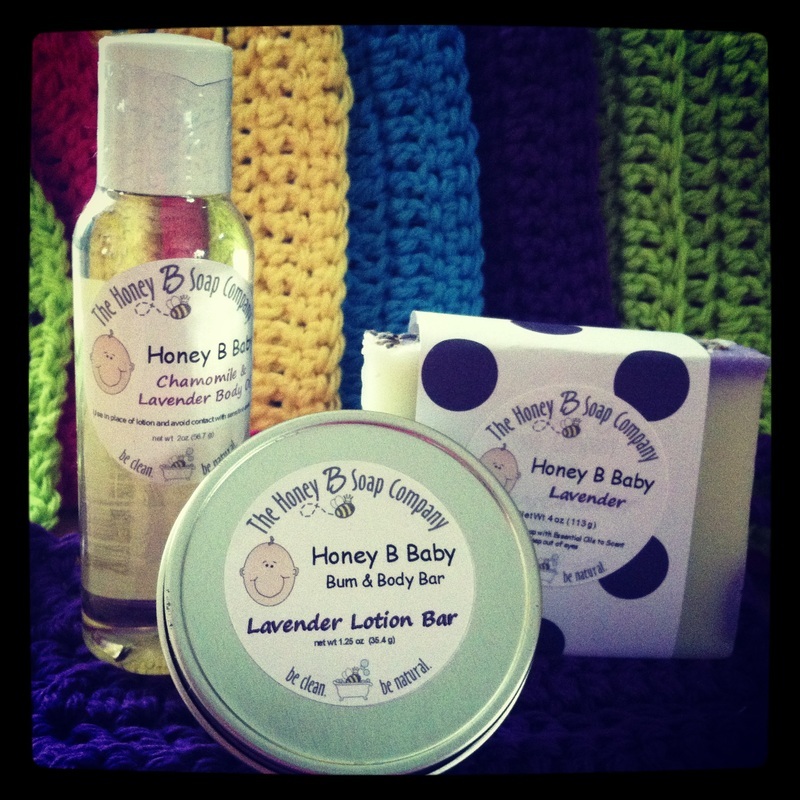 The Honey B Soap Company: Located in Fargo, this company is owned and operated by Brittany Sinclair, a mom of four who put her teaching career on hold to pursue her passion for making handmade soaps and body care products with all natural ingredients. Even though some of her products contain honey or beeswax, the company name is more due to a long time nickname and the fact that bees are almost as busy as moms with four children! The Honey B Soap Company products are as natural as honey though – they’re vegan friendly and made with vegetable oils & butters. Her soaps, lotions, bath salts, and lip balms are soothing and very good for your skin, much more so than standard mass produced soap. If you’ve never tried natural soaps, we encourage you to do so! We started using small batch bar soaps from local small businesses years ago and have never turned back. 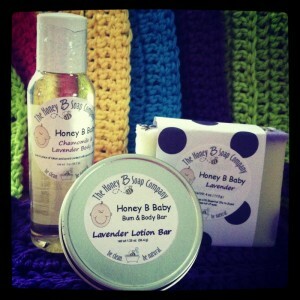 Click through to the Honey B Soap website and order for yourself or loved ones. Handmade natural soaps make wonderful gifts any time of year! 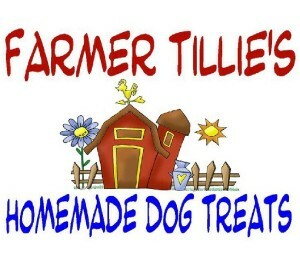 Farmer Tillie’s Homemade Dog Treats: Are you looking for healthy, natural dog treats for your best friend? Meet Farmer Tillie’s, a Baldwin, ND farm based company which uses ingredients anyone (people too!) can eat in their home baked dog snacks. If you’ve ever looked closely at the ingredients in mass produced snacks for dogs, you understand why this is so important … who wants to feed their dog things we can’t even pronounce, let alone know what they are?? Special gift packages are available and this small outfit also makes dog accessories and toys … cat toys too! If you live in North Dakota, you can find Farmer Tillie’s products in Bismarck, Fargo, and several community events and business expo’s in The Peace Garden State. Check their Facebook page for a complete calendar of local events, and visit their website to order. Make your dog happy! 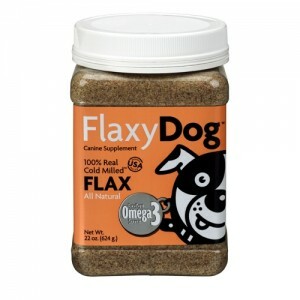 FlaxyDog – Promotes a Shiny Coat, Healthier Joints & Allergy Relief! 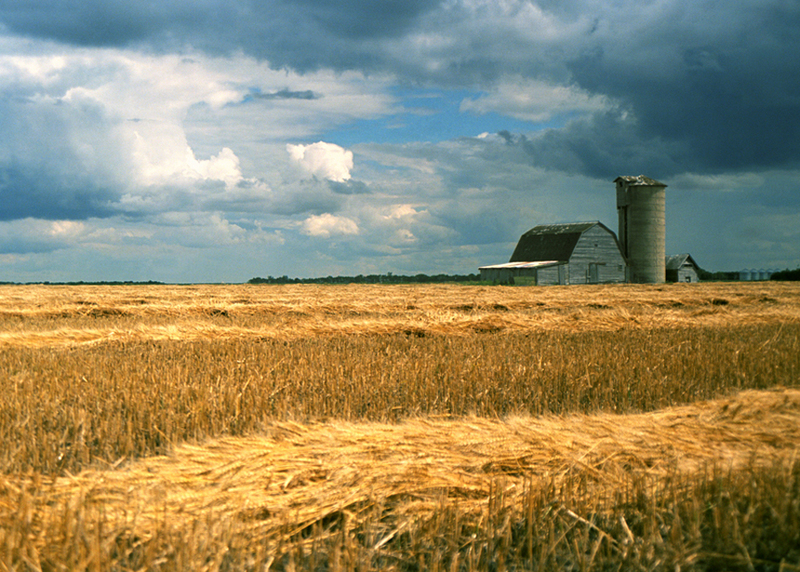 FlaxUSA: You may have heard of flax and this grain’s various health benefits, but if not, flax is a grain that grows readily in North Dakota. It’s not a supplement as some might assume, although you can use it to supplement your food choices. Flax is known to help combat high blood pressure, cholesterol, joint problems, and more. It’s low in carbohydrates, high in fiber, and good for your heart! 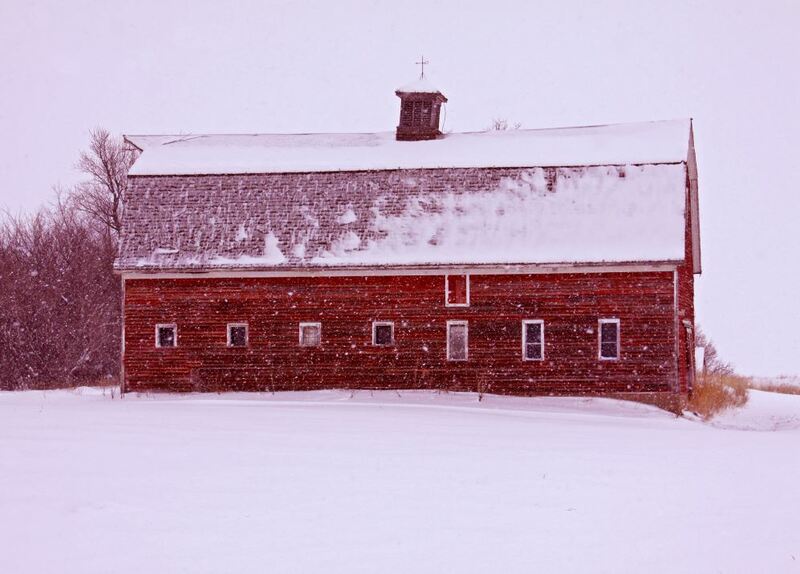 Based in Goodrich on a 100+ year old family farm, FlaxUSA grows and markets Golden Flax Seed. The grain is gently ground at low temperatures which helps preserve the nutrients. 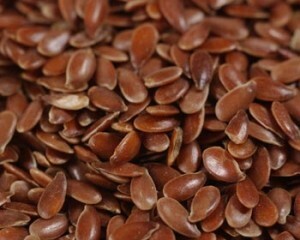 You can use flax seed in yogurt, smoothies, baked goods, salads, pasta, and more. There are numerous helpful and healthy recipes at their website! 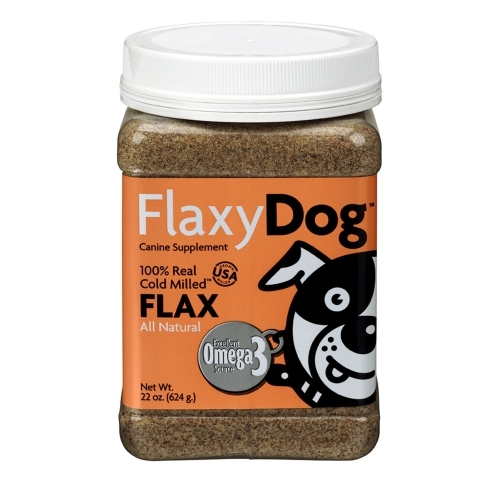 And don’t forget about your best friends … FlaxUSA also makes FlaxyDog, which you can sprinkle on your dog’s food. It’s a great source of Omega 3, which promotes a shiny coat, less shedding, healthier joints, and allergy relief. Order any of their products at the Shop Online link! 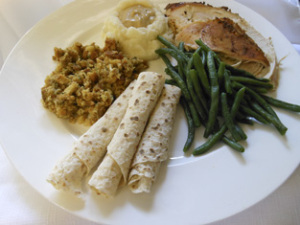 Freddy’s Homemade Potato Lefse: If you’re of Norwegian heritage, you know what lefse is, but for those who aren’t, lefse is a thin flatbread made from potatoes, flour, oil, and salt. They’re traditionally served during the holiday season, but are also an excellent side dish substitute for potatoes. Lefse is usually served sprinkled with sugar or with brown sugar and syrup. You can also use it as a wrap for deli meats or with a sausage or hot dog! We’ve found a Fargo area business that’s been making lefse since 1946 – Freddy’s Lefse. They’ll ship directly to your door all year around! 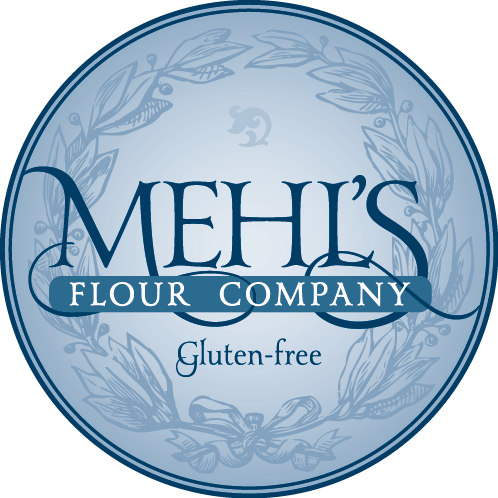 Mehl’s Flour Company: Do you require, or simply prefer a gluten free diet? If you do, you know how difficult it can be to find affordable, quality food products. We’ve found an option for you from the Mehl’s Flour Company of West Fargo, ND. 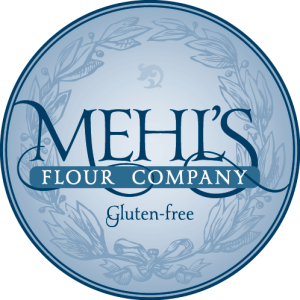 Developed by a family dealing with Celiac’s, Mehl’s Flour Company has created a gluten free line of flour and baking mixes you can use in the same manner as traditional mixes. Many of their testimonials include phrases like “This is gluten free?” to indicate their customers can’t tell the difference from standard wheat based products. Choose from bread mixes, all purpose gluten free flour, and mixes for muffins, pancakes, dinner rolls, brownies, and chocolate cake. Mehl’s has got you covered! A Vietnam era vet, Larry started his business in 2000 with the encouragement of customers who were wowed by his steak seasoning blend. Since then, the product line has blossomed to two dozen different spice mixes, marinades, and more. 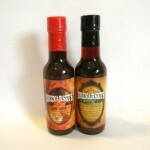 They’re intended to liven up the flavor of your steaks, burgers, baked beans, pork chops, and as we mentioned, chili. The chili seasoning pictured is called Cowboy Chili Seasoning, and we used it to make a hearty, satisfying batch with a kick of heat that is best described as “perfect”. If you like your chili with a bit of character and personality, try this mix! Rieker’s also makes a Brat & Chop Sauce, Fish Sprinkle, Red Habanero Hot Sauce (made with carrots), Bacon Burger Blast, and a seasoning called “I Hate Meatloaf” (gotta try that one!). 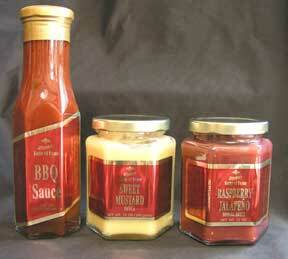 These, among many other seasonings for just about anything you can cook, are available at Larry’s website. A friend of ours who occasionally travels to western Minnesota and North Dakota recently brought us back a bottle of the Hot, and we loved it! It’s got a nice little bite at the end, but it’s not too hot that it overwhelms the taste of the meat. Try it as a dipping sauce too – it’s great with french fries! You can order Curt’s via PayPal – click the “Get Sauced” link on their site for details! We were particularly enchanted by the North Dakota photo prints page on his website. 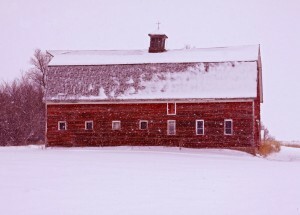 Scott has a gift for locating and preserving a moment in time, whether it’s in the midst of a snow squall or on a gorgeous North Dakota summer’s day. Founded in 1990 by North Dakota friends Dave Bren and Scott Karsky, Brenarsky’s is the ideal solution to creating the perfect Bloody Mary or Caesar every single time. Each five ounce bottle will make 15 to 20 drinks – just add a splash and you’re ready to go! 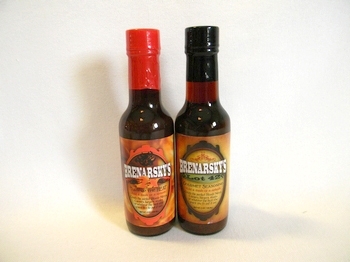 Brenarsky’s is also an excellent marinade for steaks, burgers, wild game, or mixed into an omelet or scrambled eggs! If you like things a little hotter, they’ve introduced a spicier version of the original called 2x Turn Up The Heat! Click through to the Brenarsky’s website to order … Enjoy! Flavored honeys include blackberry, cinnamon, and chokecherry – ideal paired with your favorite breakfast treat or as part of a dessert. Add a bit to your coffee or tea for a nice sweet touch! 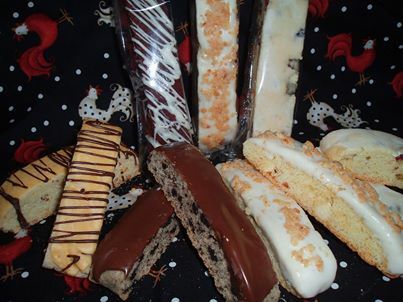 In terms of baked goods, Buffalo Gals are famous for their biscotti – a softer version than what you’d normally find, available in almost 20 different flavors and derived from a century old family recipe. They also make specialty cookies, including a candy coated sun seed soft cookie and a White Buffalo cookie made with white chocolate and macadamia nuts! 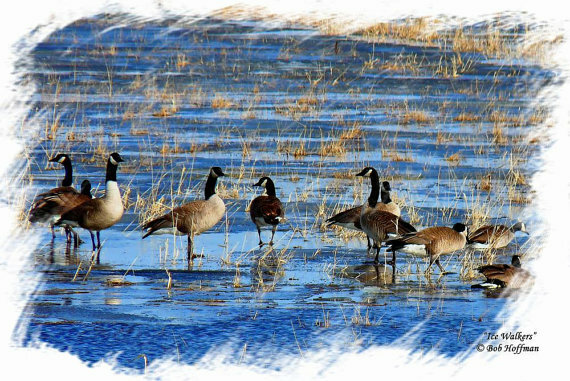 Some really great North Dakota made gift options here – check out their site to order! 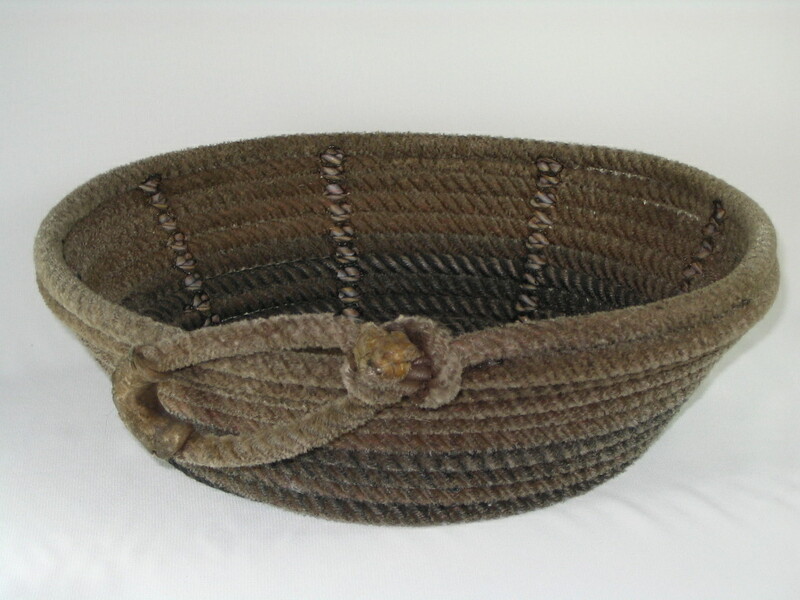 Cowboy Rope Art: We learned of this small Raleigh, ND based company via the Pride of Dakota program – they make baskets and other items from ropes and lariats formerly used at North Dakota rodeos! 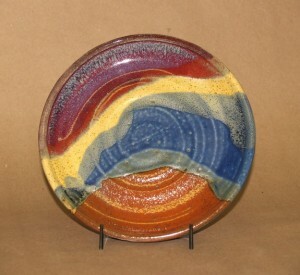 Among their many creations are baskets like the one shown, business card holders, lamps, clocks, coasters, and more. Baskets in particular are available in various sizes, colors, and designs. Some really cool one of a kind products! Giants Snacks: We discovered Giants Snacks on a trip through North Dakota not long ago. We stopped at a grocery store looking for local products and snacks, as we often do, and a young stocker directed us to bags of their sunflower seeds, pumpkin seeds, and toasted corn nuts. We’re big fans of pumpkin seeds and toasted corn nuts – mission accomplished! Giants Snacks is based in Wahpeton, which is due south of Fargo just across the Minnesota – North Dakota border. They’re most known for their variety of sunflower and pumpkin seed flavors, including their new sriracha flavor. We particularly enjoyed their toasted corn nuts, available in Original, Honey Barbecue (these are fantastic! ), Bacon Ranch, and Sea Salt & Pepper. 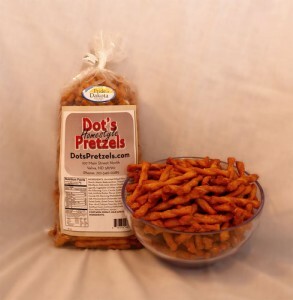 If you like a wholesome crunchy snack, you won’t go wrong here! 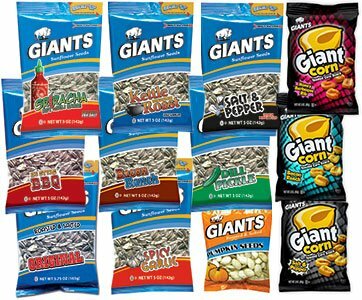 You can buy any of these Giants Snacks directly at their website. They’re available in a case of 3 ounce bags. We hope you like them as much as we did! The note cards include envelopes and come in packs of ten. 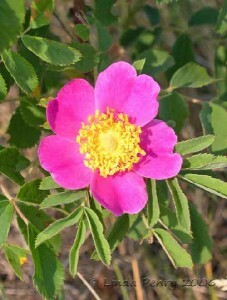 The image shown is of the North Dakota state flower, the Wild Prairie Rose. While probably best know for their whipped honey, you might want to try an authentic North Dakota product made by American Honey Company, chokecherry honey. 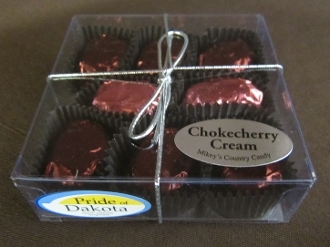 They also offer chokecherry taffy – this small berry is one of the few berries thriving abundantly in the state, and it’s great to see it incorporated into unique edible products. You can buy chokecherry honey (and more) in 2 ounce, 8 ounce, and 12 ounce sizes directly at the American Honey Company website … a real treat from North Dakota! The chokecherry creams are available in 1/2 pound boxes or smaller sampler containers. Check the Mikey’s Country Candy website to see all their products and to order some for yourself or as a great gift! Paddlefish come to spawn at the confluence of the Yellowstone and Missouri Rivers in extreme northwest North Dakota. Anglers catch these unique fish and then have them cleaned for free at an adjacent North Dakota Fish and Game Station in exchange for a donation of the roe. A non profit venture, North Star Caviar, processes the roe into caviar, which is then sold on the world market. This caviar is highly prized for having a rich flavor without any aftertaste. 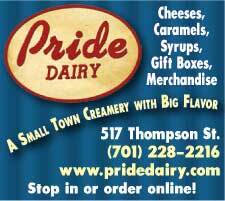 Show your North Dakota pride with a gift from Pride Dairy! The company’s website is an excellent source for information about flax seed, as well as a convenient place to buy and have different varieties shipped to you or a gift recipient. You’ll find some great recipes there too! Combination gift boxes are available. Pictured is the “Once Around The Kitchen” assortment, which contains caramels, almond butter crunch, extreme nut candy, and five dozen cookies. 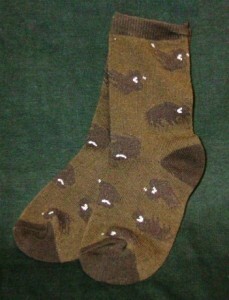 An ideal thank you gift direct from North Dakota! Thunderbird Ranch specializes in rubs, dips, soups, cheese balls, artisan breads, and dressings. You can combine them in several affordable priced gift packages available for sale, like the Ponderosa Gift Box. It contains two soup mixes, two bread mixes, along with four dip mixes and rubs – a wonderful thank you gift for a corporate client or anyone with a fondness for North Dakota! Mable’s Taste of Home: We actually discovered Mable’s Taste of Home Products in a specialty store in South Dakota … they’re located in Fargo, ND and offer a wide range of specialty condiments, jams, syrups, and mixes. We love their sweet mustard! Mable’s also makes unique syrups for pancakes and waffles, made with local fruit … wild chokecherry and wild plum are just two of their product line. You’ll also find a series of jalapeno flavored products, like a raspberry jalapeno dipping sauce that sounds great with any warm appetizers. Mable’s website offers all these products in gift packages too. 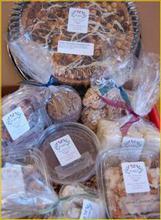 You can combine any of these specialty flavors from North Dakota into a gift box of your choice. Ideal for thank you gifts, or for anyone who has a connection to the Peace Garden State! 12). The state’s tallest building is the state capitol building in Bismarck. It’s 19 stories and 242 feet high and there’s an observation deck for visitors at the top. 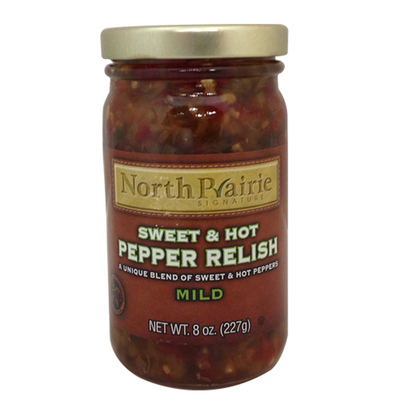 We like the North Prairie Sweet and Hot Pepper Relish, pictured. It’s available in two heat levels and is great on anything you’d normally dress with pickle relish. We used it to help create a tartar sauce and it was fantastic! Also try the Spicy Garlic Seasoning … great on anything pork and truth be told, we also used it in our tartar sauce recipe and the garlic and spice combo added a healthy dose of “wow”!! North Prairie Signature also offers a number of gift packages … a great idea as a special gift from the Peace Garden State! Artist Tina Mitchell of Bismarck, ND recycles old vinyl record albums into wearable and functional art pieces. Pictured are a pair of earrings with guitar charms attached … the main part of the earrings are upcycled vinyl records! Tina makes cuff bracelets, wall clocks, cupcake platters, earrings, and more from old albums that otherwise would be thrown away … bravo! Take a look at her Etsy shop which is appropriately titled A New Spin. 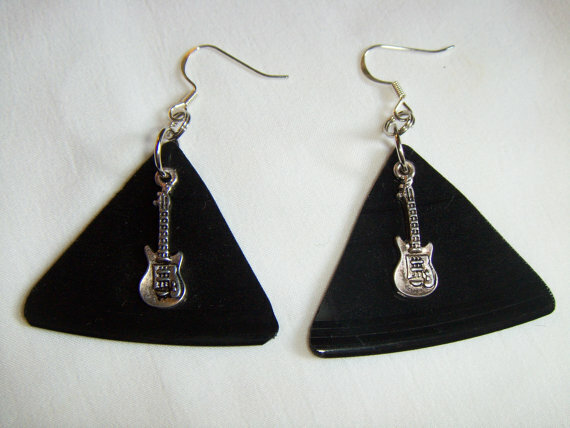 What a great gift for the music lover in your life! North Dakota Scenes: Whenever we travel, we like to buy an art print or painting as a memento of where we’ve been and what we’ve seen. It’s actually turned into our main home decor theme! We hope you enjoy their work and find something you like! A dinnerware set featuring plates like the one shown makes a wonderful Made in North Dakota gift. Davy Pottery has been developing a national reputation and it’s not uncommon for their pottery to sell out as soon as it hits the shelves … fortunately you can buy online for yourself or as a gift and avoid disappointment! 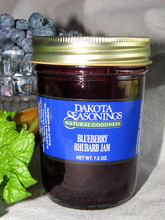 Dakota Seasonings also makes soup mixes, syrups and toppings, jams and jellies, and more. Enjoy a real taste of The Peace Garden State! 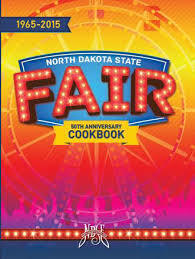 They’ll also create a gift basket of your favorite North Dakota products … check their website for all the details. Karen’s Kuchens: So what is a Kuchen? Well, it’s a pie-like baked goodie, German in origin, that’s typically eaten at breakfast or as a dessert. Just like a pie, a variety of flavors and fillings are used … usually fruit or something mixed with nuts. Karen’s Kuchens of Cavalier, ND is a business built around this unique bakery item. 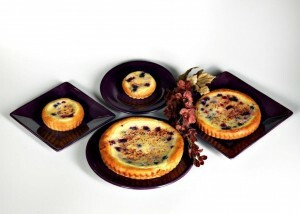 They are one of the few, and quite possibly only place that sells kuchen online and will ship one or more to your home. Kuchens are made to order and shipped frozen … you can eat them warmed up, cold, or at room temperature! Hunters Choice Marinade: A small company based out of Fargo, ND Hunters Choice Marinade produces and sells a line of marinades specifically intended for wild game often found in North Dakota, like pheasant, goose, or venison. M + W Beef: North Dakota is one of the nation’s largest producers of bison products, and if you’ve learned to love bison over traditional red meat, you can pick up anything you’d want from M and W Beef based out of Mandan, ND. 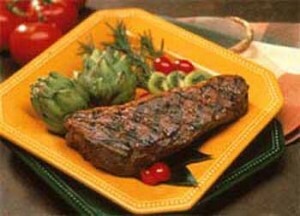 They’ll ship any type of bison product directly to your door or as a gift … burgers, roasts, steaks, and more. 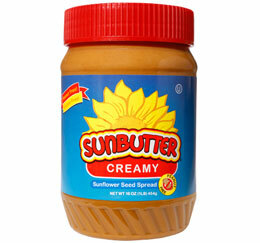 You can find Sun Butter products in certain specialty food stores, but if it’s not available in your area, the the Sun Butter web site has instructions for ordering online. The company is based in Fargo. 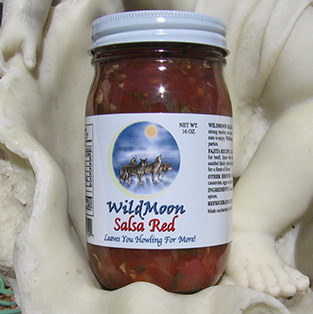 They make three types of salsa which you can buy online … Wild Moon Red, a medium salsa … Luna Salsa, a tomatillo (green) salsa … and Wild Moon Corn, which has chunks of local corn mixed with spices.